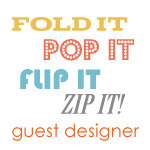 ← Zva Creative September DT Blog Hop! Sorting and organizing have been high priority these days. I find it’s a good thing to go through your supplies a couple times a year at least to see what you have, what you need, what can be used up and what needs to find a better home. World Cardmaking Day is coming up quickly as well. It’s this Saturday October 2nd. I adore making cards. Do you have plans for the day? Stop by as I’ll have a project to share and a winner to announce…keep reading for the details. Need a little enabling? If you’re looking for some fabulous new product and a great sale, be sure to stop by Ellen Hutson LLC. There are tons of new CHA releases and Ellen is offering 15% off storewide. I have a couple packages making their way to me and I can’t wait to get them. Click HERE for the sale details. While I’ve been busy sorting my goodies and I found doubles of the Newspaper Ads Scrapblock, Crossword and the Bracket Block Scrapblock that I designed for CHF. These are a few of my favorite stamps and I love their huge 6×6 inch size. To help celebrate World Cardmaking Day, they’d love to go to a good home where they’d get some inky love. Leave me a comment on this post letting me know what you’d do with them and I’ll randomly draw one winner to receive all three. You have until 9 pm EST Friday night to leave your comment on this post. I’ll post the winner on Saturday, World Cardmaking Day. Sound fun? 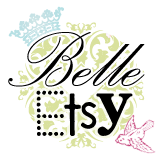 Plans for World Cardmaking Day?……a whole day to myself and my cards……..Can’t wait! What would I do with them…make cards, of course! 🙂 Wouldn’t the crossword block make a fun birthday party invitation? I’m also looking forward to carving out some card-making time on Saturday. My stamps and paper haven’t seen enough love lately! Thanks so much for the chance to win some goodies. hi Julia! What would I do with those stamps? I’m not sure at the moment but they look like fun to use! I still haven’t got my stuff unpacked after moving last month. 🙁 Hopefully soon. It’s driving me crazy not being able to see everything I’ve got. Thanks for the chance to win! I’ve drooled over these stamps for the longest time – kept thinking that my “next” paycheck would give me enough extra to order them – but with kids there’s always surprise expenses and I never did get to order them before CHF closed. So excited to have an opportunity to win them now. Thanks so much. I am also a card maker. This weekend is going to be really special as I am attending an “Artistic Journey” at my local scrap book shop. It starts at 6:00 pm on Friday and runs (not consistently) through mid-afternoon on Sunday. There are 75 of us participating and we will have 3 really cool classes plus lots of other fun. I would love to add any of these stamps to my collection as they would make great backgrounds for cards. Thanks for the opportunity to win! I’m planning on cardmaking with my 2 granddaughters. They love being able to make Any Hero cards and then send them off with my cards for Operation Write Home. Those scrapblocks have been on my wishlist forever but my paycheck and discretionary funds never seemed to merge…sigh. Thanks for the chance to win them! Oh yes it sounds like fun………I’d love to create a crossword for my god – daughters to help with their spelling/reading. And I can already some notes that could be written in that bracket block scrapblock. I hope to find some time to join in on World Card Making day. Thanks so much for the chance to enter in the drawing for these goodies. What a gorgeous card…love the huge piece of trim and that crochet flower! I am spending World Card Making Day at a friend’s cottage on the Bruce Peninsula and we will be scrapping and stamping all weekend! These stamps are just amazing and would work perfect for my heritage themed layouts and to give me a new creative way to journal on those crossword spots! Thanks for a great site and fabulous inspirtation! I had bought the Ornamental Borders Scrapblock because of your beautiful samples, but it’s the only one I own. I would use those 3 Scrapblocks on cards. I’d LOVE to play with them, especially that background stamp. So beautiful. 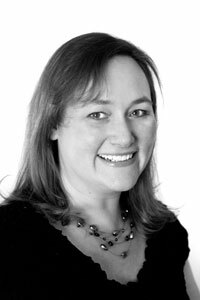 Hi Julia, I am a passionate card maker too. Of course I can see these stamps on a card – they are fantastic. I could also see a mini album using these as the feature stamps. So looking forward to World Card Making – I am working but plan to do some serious catching up once I’m done. Hope you have a great WCM day. These are really fun. My son’s b-day is coming up & since we both like to do crosswords, what fun it would be to use your great stamp! I also love everything vintage & the newsprint would be really fun for cards or my much abandoned scrapbooking efforts. Thanks! Ooooooh! Pick me! Pick me! Would love to use them in a scrapbook I want to make for my son, who’s just gone off to his freshman year at college. Now that “someday” is here, I’m finally able to look forward to going through all those boxes of photos and putting the best on display. And, of course, I’m sure each of them would find their way onto a card for him too! Great giveaway–thanks! Such a lovely card and the trims are especially great. As for the stamps,I would love to use them for cards and to scrap. 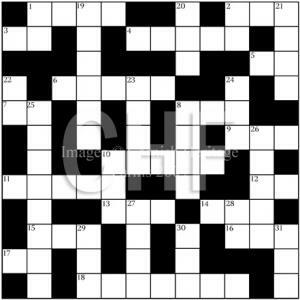 The crossword would be wonderful to add with photos from trips, the names of places,etc. I only have one CHF stamp-a TRi Dot background stamp. Wish I could have gotten more of them.Thanks for the chance to collect more. Ooooh!! I love these, and have always wanted to get them!! 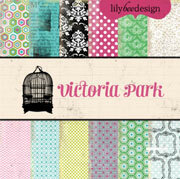 I would love to use them with the new Papertrey Ink calendar stamps that I just got! They’d be soo cute to add to a calendar book! Love your work! What would I do with that paper….ahhhh verrrry easy question. I would make cards with loads of crinkle seam binding and lots of bling. And of course the cards will be pink!!! Will mail them out to my friends who have prayed for hubbby during his double knee replacement surgery. ugh! Thank God for prayers! Oh I would definately make cards, especially with the newsprint block! I am really sorry CHF went out of business and don’t know how I missed that stamp!! I love the newsprint stamp most of all. I would definitely make a grunge looking type card with it. Thanks for the chance. Hugs, Nellie. 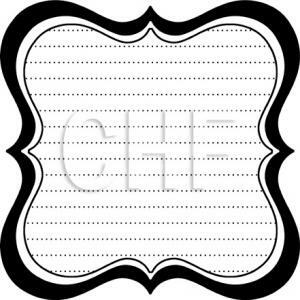 where we are we get get CHF stamps – so it will be a great pleasure to win these designed by you especially ! 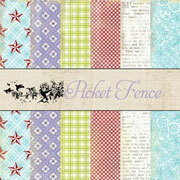 They will be great on cards & scrapbook pages due to the 6×6 size ! 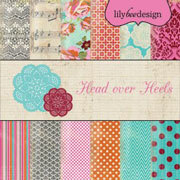 where we are we cant get CHF stamps – so it will be a great pleasure to win these designed by you especially ! They will be great on cards & scrapbook pages due to the 6×6 size ! I would love these stamps to make cards! 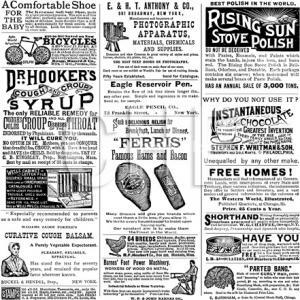 I like them all -especially the news ad. The crossword would be neat for birthdays and the bracket for scrapbooking. Great card you made-love the newsprint!! What a wonderful card Julia! All of these stamps are super duper and I would have a blast filling in the crossword with a personal message…it would also be awesome to use for an invitation or a Save the Dat! I love the vintage look of the classified ad stamp, great for backgrounds, as you have used and the frame is timeless! Thanks for all of your inspiration and this very generous give-away! I don’t have any of these 3!!! I’m sorry I missed opportunity to acquire more while I could…the ones I do have…are very well used!!!! My mom loves doing crossword puzzles; how fun would it be to make a birthday card or a set of cards (or both) for her using that stamp? It would be really fun to fill in words and phrases especially suited to her! I’m sure the other 2 would be just as interesting to use too. Thanks for the chance to win Julia! Unfortunately I won’t be near my card stuff this weekend… But I am sure I could find a good use for any of those scrapblocks!!! Such amazing stamps ! The size is perfect for making little 2″ baskets for those Christmas earrings I’m giving away. Thanks for the chance to win. I love the newsprint stamp most and have been coveting it! I’m a card maker so I’d use it to make a vintage style card, maybe even a Christmas card. The other two stamps are really cool, too, and would be fun to play with! Thanks for the chance to win! I would make cards. I am a crossword puzzle junkie do them every day. I could find a receipient for cards made with each of these stamps! Have a friend with whom I played online scrabble with for years..crossword bg perfect! Love the newspaper ads for vintage cards. Of course, the journal background would work for many occasions. what a wonderful giveaway. Thanks for the chance to win. i love the label shape. it has so many uses. What an amazing giveaway…. I love how big these are!!! I would use them for scrapbooking…. and of course making cards! Well, I am a card maker so would definitely make cards with these fabulous background stamps. Oh, the fun I could have with these beauties!!! Those are such cute stamps!! I haven’t seen them before. I would love to win them. I would use them first on some of my scrapbook pages and maybe some cards… hmm so many ideas and so little time! I love your card! thanks for the chance. very pretty card, I never would have thought to use lace that large, it works great! I love the ads block because that would be perfect for both male and female cards, to those people like my Dad especially that likes crossword puzzles that would be great for them, and the last one is always great for journaling! 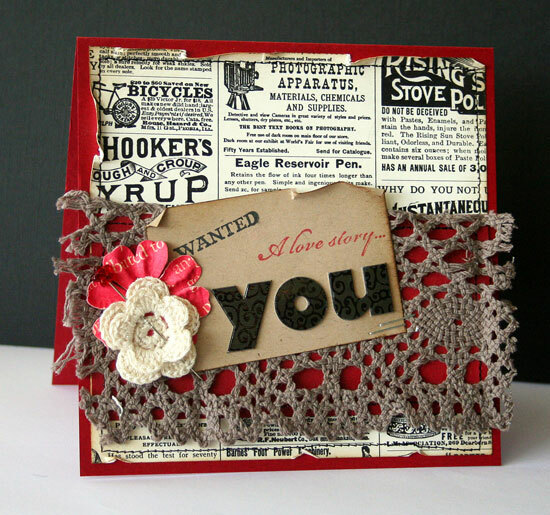 Love the newspaper style stamp would like to make cards with it ..vintage style in a nice brown color. The crossword would be nice to color with my copics and the last one would be much fun as a background too. All of the stamps would be great for my cardmaking – I love to stamp my own backgrounds. CHF is one of my favs – so sad they are closed. Oh goodness – I *love* the Newspaper Ads Scrapblock! What great vintage cards that would make! Background stamping is one of my favorite things to do! Thanks for the opportunity! Love your vintage newspaper patterned paper, I’m imagining the many different colour vintage papers you can do with that stamp! Love the bracket block too even if I don’t scrapbook. Thanks and a happy WCMD to you. honored place in my craft room! Thanks for the opportunity to win! My local stamping club is making cards for our troops on Card Making Day. I really like the crossword puzzle stamp as I love doing crossword puzzles. Those would be fun stamps to play with! THanks for the opportunity, Julia. I’m so happy I stumbled upon this just in time. oooh Julia, love these stamps. such talent. thanks for sharing. oh my goodness, cards, altered projects, scrapbook pages – all kinds of wonderful shabby things come to mind when I see those beauties! I so miss CHF and treasure the few stamps of theirs that I do own. no one else could come close to hitting that vintage niche the way they did. Oh my goodness, these are right up my vintage-crossword-puzzle-lovin’ alley! I love all of these, I could put them to good use in a myriad of ways! If I’m not stamping, I’m solving a crossword puzzle…my husband thinks that I’m insane…I spend hours on a puzzle then when I am done, I throw it away!! He thinks I should keep them…..he said if he ever finished one, that’s what he’d do! Your cards this week were so special, I loved each & every one! ohh wonderful card! i just love the background stamp u used.. i cant wait for WCM.. gonna spend it in my craft room I’m sure. What fab stamps! I could imagine doing many a layout or card!